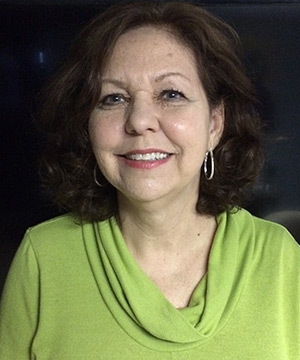 Good People: Meet Evelyn Beaver, Life Enrichment Director - Grace Ridge Retirement Community - Morganton, N.C.
Today, we highlight Evelyn Beaver, our Life Enrichment Director who has worked at Grace Ridge for nearly 18 years. Evelyn plans activities for residents, including medical and leisure transportation, wellness massage therapy, trips and events. She also works with the media to share the good work that Grace Ridge is doing with the community. Evelyn attributes her tenure to loving her work and says she has the best job ever. Evelyn appreciates the opportunity to grow and learn from such great co-workers and residents. Evelyn literally gets to help make dreams come true. One of the best parts of her job is when she gets to help residents fulfill their “bucket list” activities, such as zip-lining, visiting New York City at Christmas and going on a cruise on the St. Lawrence River. However, she said, the most important part is building relationships with residents and their families. Evelyn enjoys meeting residents and their families and feels that she would be lost without them. If she didn’t work at Grace Ridge, she would like to write a book about her time working at Grace Ridge. She has been recognized multiple times for her outstanding work with Grace Ridge and has received the Carolinas Healthcare System Pinnacle Award and a merit award of excellence. When Evelyn isn’t working, she enjoys life by traveling, painting, making pottery, knitting, being active in her church and spending time with her family. Thank you, Evelyn, and all of Grace Ridge’s outstanding employees!